RECAP: Max Muncy Walks It off for Dodgers in 18th as #RedSox Drop Longest World Series Game in MLB Hisory. 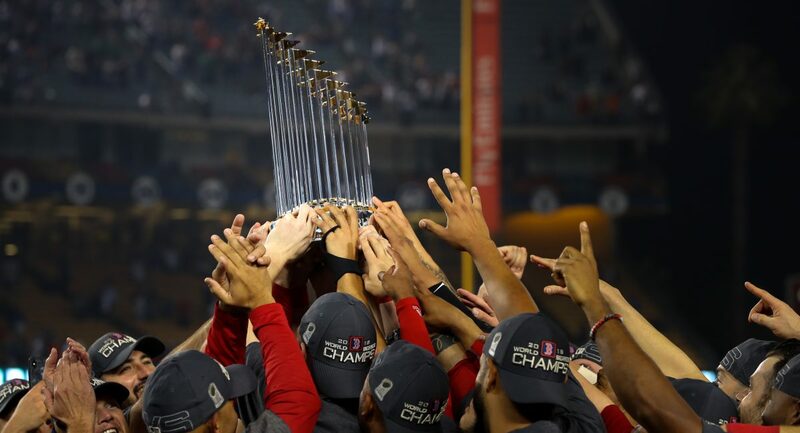 History was made on Friday night/early Saturday morning when the Boston Red Sox and Los Angeles Dodgers played in the longest postseason and World Series game in MLB history. It took 18 innings and over seven hours to complete, and the contest was decided by a Max Muncy walk-off solo home run off of Nathan Eovaldi in the bottom half of that 18th inning. Before the game got to that point though, let’s break down how we got there. Getting the start for the Red Sox in this one was Rick Porcello, who entered Friday with a 4.22 ERA over 10.1 innings pitched this October. Pitching into the fifth inning, the right-hander surrendered just one earned run on three hits and one walk to go along with five strikeouts on the night. It really was a solid performance from Porcello, with the only mistake being made coming in the bottom of the third, when he hung a two out, 0-0 changeup to Joc Pederson, who sent the ball 380 feet to the right field seats to give the Dodgers an early lead. Other than that, the New Jersey native battled his way into the fifth, and his night ultimately came to an end with two outs in the frame and Pederson due up next for Los Angeles. Finishing with a final pitch count of 61 (43 strikes) and caught by Christian Vazquez, Porcello topped out at 93.5 MPH with his four-seam fastball, a pitch he threw 34 times, en route to picking up the no-decision. In relief of Porcello, the Red Sox bullpen ended up being responsible for the final 12-plus innings on Friday, which eventually carried over into the wee hours of the morning in California. Eduardo Rodriguez, Joe Kelly, Ryan Brasier, Matt Barnes, David Price, Craig Kimbrel, and Heath Hembree combined to toss 6.1 innings of scoreless baseball before Nathan Eovaldi came on for the 12th. Let me tell you about Nathan Eovaldi. To do what he did on one full day’s rest was absolutely incredible. After being used as the set up man for the first two games of the World Series, the right-hander came in and essentially put together a quality start out of the bullpen. Six innings pitched, three hits, two runs (one earned), one walk, and five strikeouts. Certainly not worthy of a loss. This game should have been over in the 13th, after Eduardo Nunez drove in the then go-ahead run in Boston’s half of the inning. Having recorded the first two outs of the inning after walking the first batter he faced, Eovaldi was one out away from notching a six out save. Instead, on what appeared to be a hard hit ground ball to second, Ian Kinsler could not come through with the put out to first. That allowed Max Muncy to score all the way from second, and just like that, this game was tied again. Fast forward to the 18th now, after Muncy nearly ended things in the 15th home run with a fly ball that just went foul, and this contest finally came to a conclusion when Muncy redeemed himself to lead off the inning with a walk-off home run. It only took seven hours and 20 minutes. On the other side of things, the Red Sox lineup was initially matched up against Dodgers rookie right-hander Walker Buehler, and he held them to just two hits over seven shutout innings of work. It wasn’t until Buehler was out and Dodgers closer Kenley Jansen entered this game in the eighth when Boston finally got on the board. Trailing by one run and down to their final four ourts, Jackie Bradley Jr. came through in the clutch once again, as he blasted his third home run of the postseason to knot things up at one run a piece. Fast forward to the 13th, and a Brock Holt leadoff walk, followed by a steal of second base, would set Eduardo Nunez up in an ideal scoring spot. With lefty Scott Alexander on the mound for Los Angeles, Nunez tapped a ball between the mound and first base, and wound up reaching base on a sliding single thanks to a wild throw from Alexander. Because of that throw, Holt was able to score from second to give his team a very late one-run lead that ultimately should have been the final nail in the coffin. But, as I explained earlier, that is not how things worked out, and instead of finding themselves up three games in this series, the Red Sox now find themselves with the Dodgers right behind them with the chance to pull even later tonight. The top four hitters in the Red Sox lineup, pinch hitters included, went a combined 0/28 with two walks on Friday. Not the best of efforts from Mookie Betts and Xander Bogaerts. I know I missed some things, but here’s to hoping the Red Sox bounce back with a win tonight. Starting pitchers have yet to be announced. First pitch is scheduled for 8:09 PM ET. 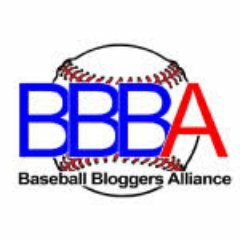 Author Brendan CampbellPosted on October 27, 2018 Categories Baseball, Sports, UncategorizedTags andrew benintendi, Baseball, boston, dodgers, jd martinez, los angeles, mlb, mookie betts, red sox, rick porcello, walker buehlerLeave a comment on RECAP: Max Muncy Walks It off for Dodgers in 18th as #RedSox Drop Longest World Series Game in MLB Hisory.